The two largest debt collectors in the country are refunding millions of dollars to customers over allegations they used deceptive practices to collect bad debts. The Consumer Financial Protection Bureau charged that Encore Capital Group and Portfolio Recovery Associates bought potentially inaccurate debt, attempted to collect unverified debts and used illegal litigation practices to collect debts. "Encore and Portfolio Recovery Associates threatened and deceived consumers to collect on debts they should have known were inaccurate or had other problems," said CFPB Director Richard Cordray in a release Wednesday. 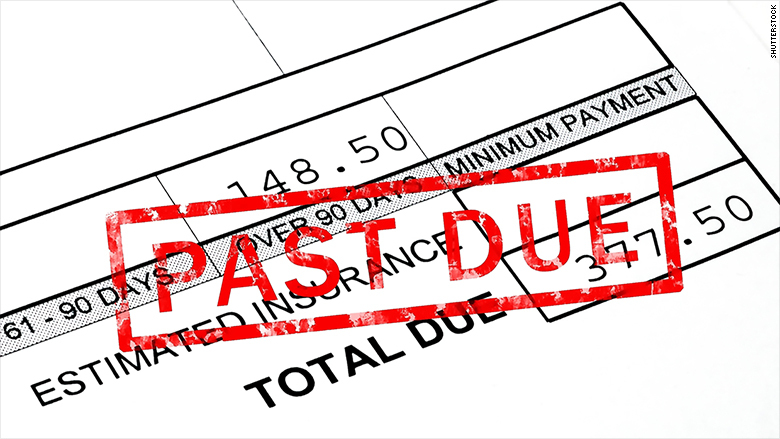 The companies buy outstanding debts from creditors at highly-reduced rates and then attempt to collect on them. According to the CFPB, the companies have purchased the rights to collect more than $200 billion in various defaulted consumer debts. Encore Capital Group will pay up to $42 million in refunds and stop collection on $125 million in debt, as part of the settlement. It will also pay a $10 million penalty to the bureau's Civil Penalty Fund. Portfolio Recovery Associates, which is a subsidiary of PRA Group, has to pay $19 million in refunds, stop collecting on $3 million in debt and pay $8 million to the fund. Encore Capital, which is based in San-Diego, said in a statement the refund is based on "two isolated issues which are not current practice and were changed some time ago" and that it disagrees with the CFPB. "While we disagree with the CFPB's positions on these two issues, we chose to agree to a settlement so we can move forward," said Kenneth Vecchione, Encore's president and CEO, in a statement. The CFPB claimed the companies sometimes sued consumers in an attempt to collect on debts, but didn't always intend to prove the debts. "Instead, the companies relied on consumers not filing a defense and winning the lawsuit by default," the CFPB said. According to the consent order, Encore gave more than 100,000 accounts to a law firm with 16 attorneys. The CFPB also claimed Encore sent thousands of letters from July 2011 to March 2013 to consumers with an offer to settle debt that was actually too old for litigation. PRA reportedly sent our similar letters from the start of 2009 to March 2012. Both companies were charged with giving inaccurate statements to consumers. PRA was accused of telling customers that litigation against them was coming. "In reality, in many cases, an attorney had not reviewed the account and the company had not decided whether to file suit," the release said. PRA said the action will not impact its operations. "It was time to end this drawn out process and eliminate the threat of litigation, so we can focus with renewed vigor on serving our customers and growing our business," said Steve Fredrickson, chairman and chief executive officer of PRA Group in a statement. The CFPB's enforcement also includes operational changes at the companies. Both are prohibited from collecting or suing for unverified debts and have to provide certain information to consumers, including the creditor's name and the charge-off balance.